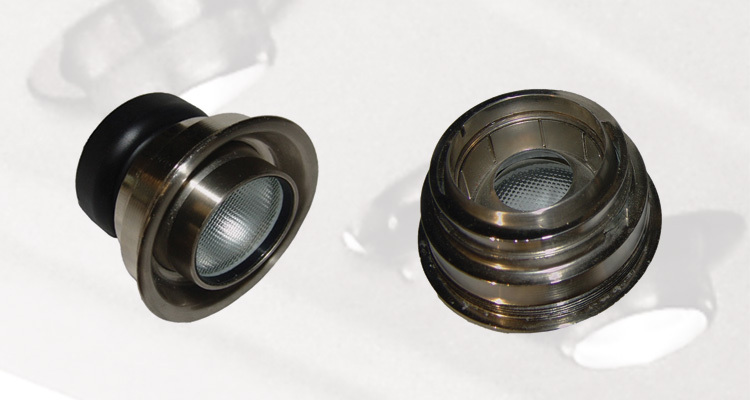 The JBRND Reading Light was designed to replace the Incandescent assemblies in existing reading lights, (Wemac, etc.) during refurbs or to be used in new interior installation. 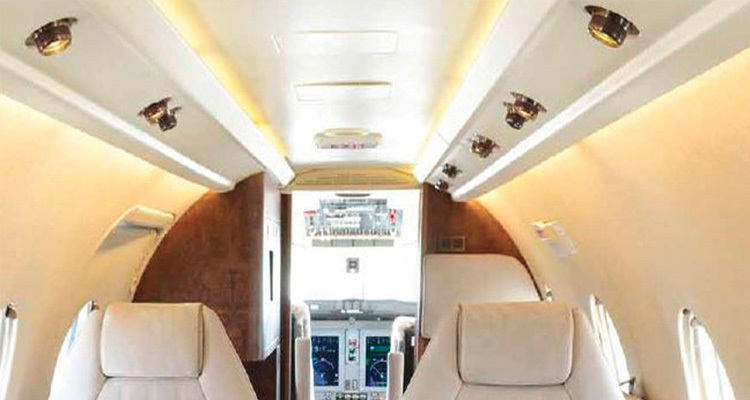 LED Reading Lights are intended to provide general cabin illumination for passenger and crew lighting applications for all types of aircraft. The JBRND Reading Light is a non-essential electrical item and aircraft power to the system is controlled by dedicated circuit breakers. A long-life LED lamp module is used in the light assembly which provides for low heat generation and low current draw. The LED color temperature is Warm White (2900K). For alternate color temperatures, contact JBRND. This LED light assembly can be inserted into the back of any reading light on the market as preferred by the customer to match the air gasper. JBRND LED Reading Lights conform to “Passenger Reading Lights” Compliance Report SAE ARP378. Get the JBRND brochure for our reading lights. The brochure is one page, in PDF format, ready for printing. If you are interested in any other JBRND brochures, make sure to visit our Downloads Section, where there are many others available. As always, just get in touch if you have questions. 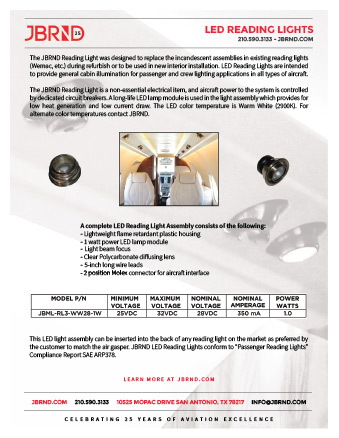 JBRND's LED Reading Lights are already in many aircraft. We look forward to discussing your project. Get in touch with us today to get more information by clicking the button below.